The Tigers were clearly the best side in 2018 but got caught on the back foot in a cutthroat final thanks to the unfortunate timing of Mason Cox’s breakout game. They were also a bit flat after playing just two games in 34 days before facing the Pies in the preliminary final. Unlike the Eagles, they couldn’t quite claw their way back from a slow start, though they did get close in the last quarter. Richmond will be fascinating to watch in 2019. They add arguably the best young key forward in the game in Tom Lynch, are superbly led by Trent Cotchin and are perhaps the best balanced of all the sides, with stars in the middle, back and forward. Jack Riewoldt has just come off arguably his best season ever and is ridiculously durable for a key forward. Richmond also have perhaps the No.1 player in the game, Dustin Martin. The one query on the team could be the loss of depth players should their injury count come back to average levels. That might be the only way for the rest of the competition to stop them doing a Geelong of 2009 and simply picking up where they left off after an unfortunate slip. 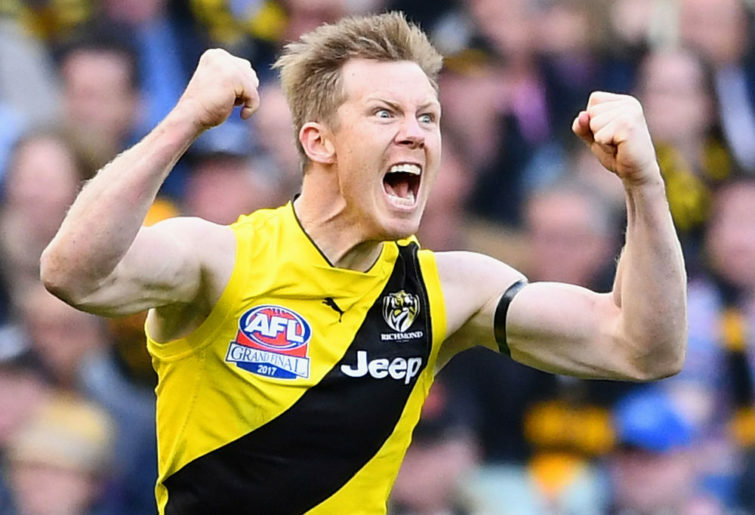 Impact player in 2019: Jack Riewoldt. Rather than not having the drive after already climbing the highest mountain, I believe the Eagles will be a far more formidable opponent with the 2015 grand final monkey off the back. They also pick up a couple of handy recruits next year in Andrew Gaff and Nic Naitanui and will be exceptionally hard to beat at home. Jeremy McGovern is a top-five player in the whole competition and sits right up there with some of the greatest defenders of all time. It’s difficult to see the Eagles missing top four, but a shot at back-to-back flags may depend on whether they can secure a home preliminary final. Dom Sheed surely gets a free pass for at least the next two seasons. Impact player in 2019: Jeremy McGovern. 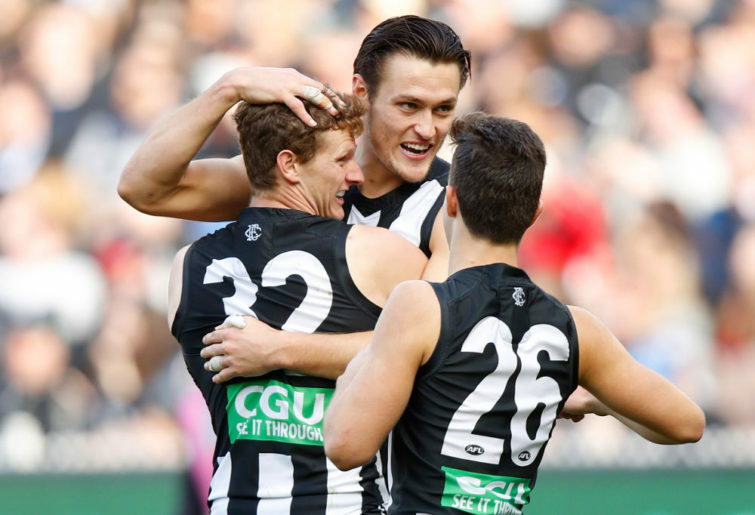 The Pies have perhaps the best depth in the competition, as they showed in 2018 year in coping with a high injury count, particularly during the second half of the season. If they can have a decent run in the physio and rehab room, they’ll get a few handy players back for 2019 in Lynden Dunn, Matt Scharenberg, Darcy Moore and Jamie Elliott. 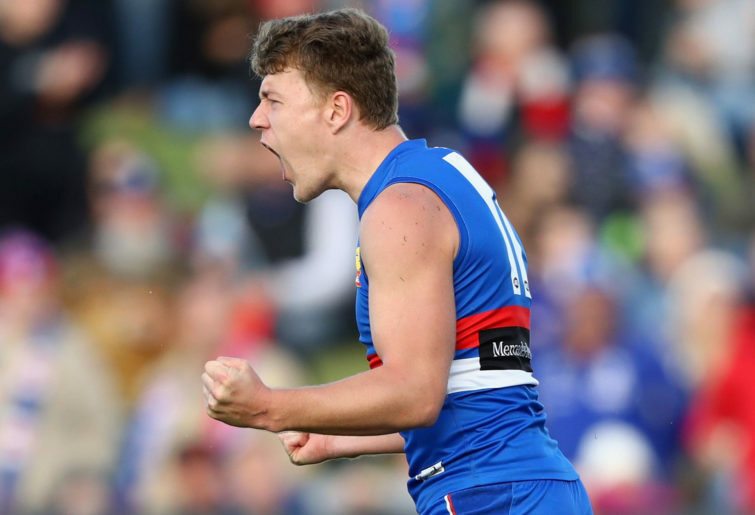 Moore could become something very special in 2019 as a Peter Knights-style centre half back. Daniel Wells could be handy in finals too, but it appears time has run out for the silky-skilled ex-North Melbourne champ. The prodigal son Dayne Beams returns, with Mike Sheahan recently claiming he would have been in the top ten of his top 50 list if he was running it for 2019 – not a bad pick up for an engine room featuring Scott Pendelbury, Steele Sidebottom, Adam Treloar and Taylor Adams. Add the emerging Tom Phillips and Brayden Sier and the Pies midfield bats deep. The main problem facing the Pies will be giving enough senior players opportunities. With such depth, many good AFL players won’t be getting a lot of senior game time and will get itchy feet at the end of 2019. Time to strike while they’re hot or start to feel the player exodus in the next couple of seasons as depth players hunt for more opportunities. Impact player in 2019: Darcy Moore. The Dees are probably the only side with depth comparable to Collingwood. Although Jake Lever has had a minor setback, they added Steven May and Kade Kolodjashnij – though they also lost Jesse Hogan. 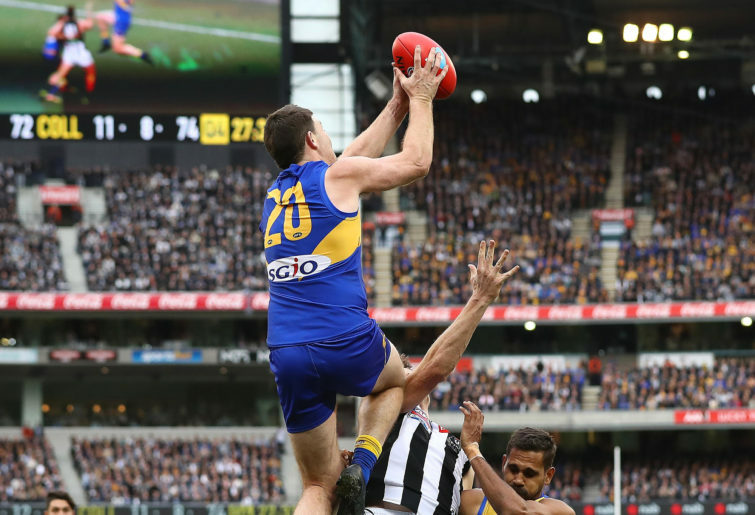 Melbourne looked incredibly exciting in the finals before coming up against a red-hot West Coast Eagles, who handed them an embarrassing lesson that will sting over summer. 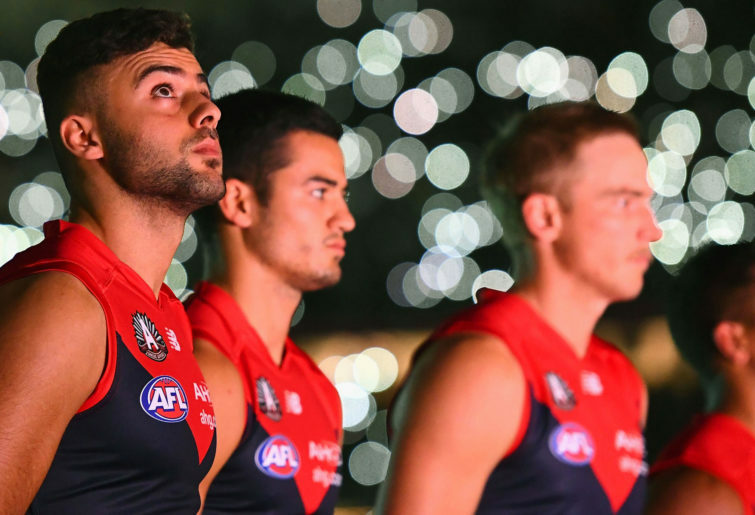 One feels that whatever the Demons do in 2019, they are only going to improve over the next couple of years. It’s time to consolidate as a genuine finals side in 2019. An exciting side, yes, but it is Melbourne, and they have a monkey on their back the size of King Kong. Impact player in 2019: Clayton Oliver. The most aggressive team at list management after an era the club would like to leave behind. There’s no doubt this side is a membership behemoth in waiting if they get going. 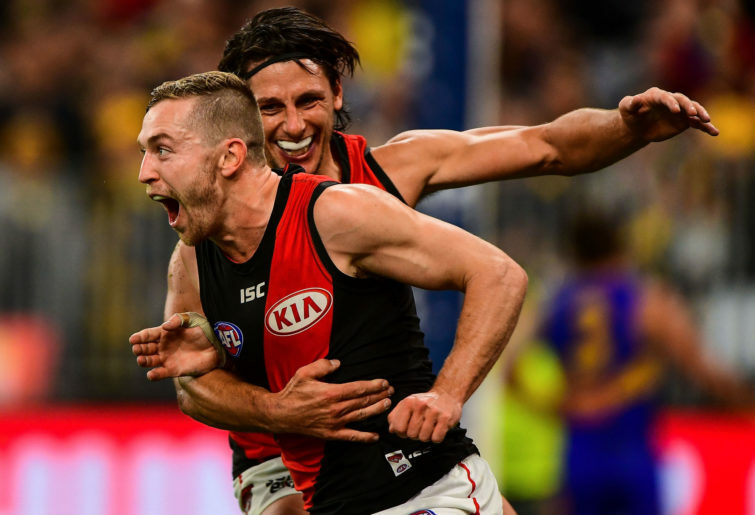 The recent additions Adam Saad, Decon Smith and Dylan Shiel add a touch of class to excitement machines Dyson Heppell, Zach Merrett, David Zaharakis and Orazio Fantasia. Joe Daniher could be the interesting one here as a prime finisher, but I wouldn’t put too much expectation on Jake Stringer. I can’t help thinking this side has been fast-tracked for immediate impact rather than built carefully, which makes me think they would need a Western Bulldogs-type fairytale run to actually pinch a flag. They’ll have some huge wins over good sides but may also find themselves upset by lower sides with their offensive game style that can and does concede scoring on occasion. Nevertheless, the Bombers have exciting potential to challenge hard, if not the balance to go the whole way. They are unpredictable, these Bombers, and perhaps a bit impatient to heal their scars and as such leave themselves open to reinfection. Impact player in 2019: Devon Smith. Reports of Geelong’s death have been greatly exaggerated. Many pundits expect the Cats to fall away in 2019, just as many do every year, but the Cats are simply one of the most consistent sides in the competition who bat deep into the season, year after year, delivering exceptional return on investment for their fans. Don’t forget Geelong were the fourth-highest-scoring side in 2018. Patrick Dangerfield, Gary Ablett Jnr and Sam Menegola are big inside-50-entry players and gain a lot of metres for the side in the process. Dangerfield appears set for a huge 2019. Zac Tuohy is an underrated beauty and Tim Kelly may well get even better this season now he knows he belongs at the level. As for Tom Hawkins, he’s right up there close to Jack Riewoldt for impact and one of the best goal-assist big blokes in the game. One problem the Cats face is despite qualifying for home finals, they mostly don’t get them and may well find themselves up against a Richmond, Collingwood or Melbourne for their ‘home’ final at the MCG. 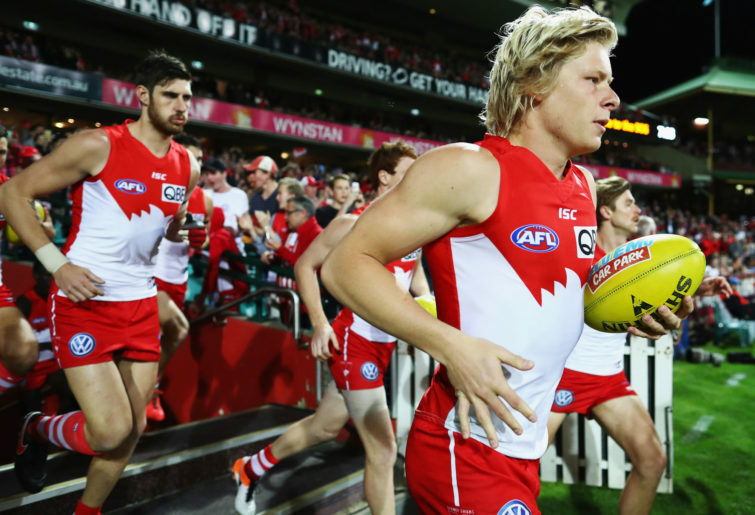 They don’t appear to have the holes in the list the Swans do or the lack of depth the Hawks do and will resist the ladder drop these other consistent contenders will face in 2019. 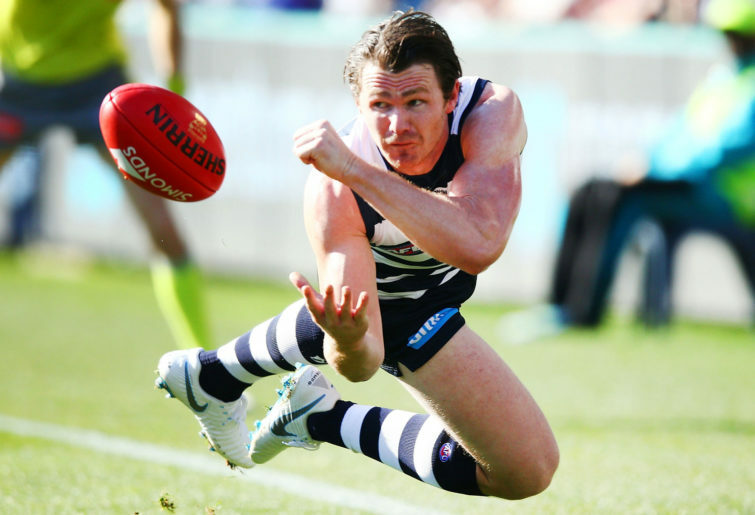 Impact player in 2019: Patrick Dangerfield. 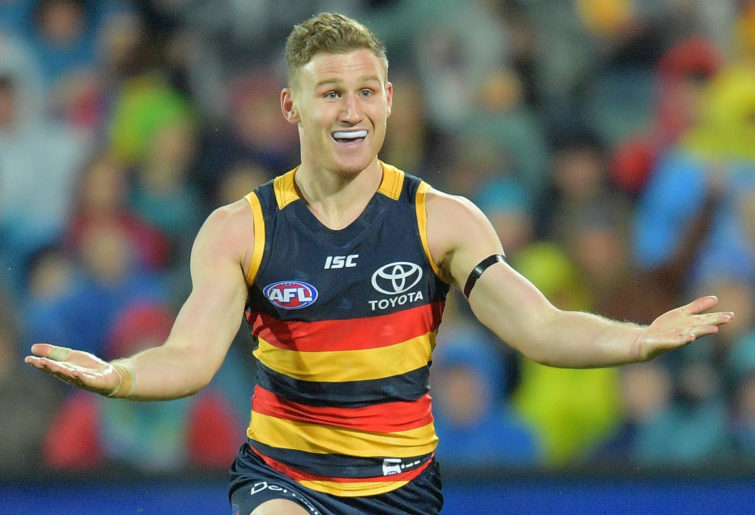 I see a return to the finals for the Crows after their own annus horribilis that was 2018. There’s a lot of talent on the list and a favourable draw will have them competing for a top-four spot most of the season before settling into the lower half of the eight, where they belong. I can’t see them genuinely contending for a grand final spot and they’ll most likely bow out of the finals quickly. A question mark remains on the emotional intelligence of their head coach, and their poor leadership decisions of late remains a grey cloud hanging over this club. As the Eagles fly and continue their flag accumulation, one can’t help but compare the South Australian equivalent as the Crows stagnate with just two premierships in their history and none since 1998. Something still smells in Adelaide post-mind camp madness and it may take more than Dettol to erase the stench. Impact player in 2019: Rory Laird. One feels their premiership window may well be closing. 2016 was a flag for the taking and an opportunity missed. They still lack something, but it isn’t talent, so perhaps it’s the coaching that couldn’t quite get them to the highest level. Injuries didn’t help either and neither did the mismanagement of their salary cap. Still, GWS have enough talent to compete for the lower part of the eight with a group of other sides. Finals for the sides anywhere from seventh to 15th will depend on close results going favourably and key injuries. The Giants are a club with a downward arrow and will need to reset before challenging again. 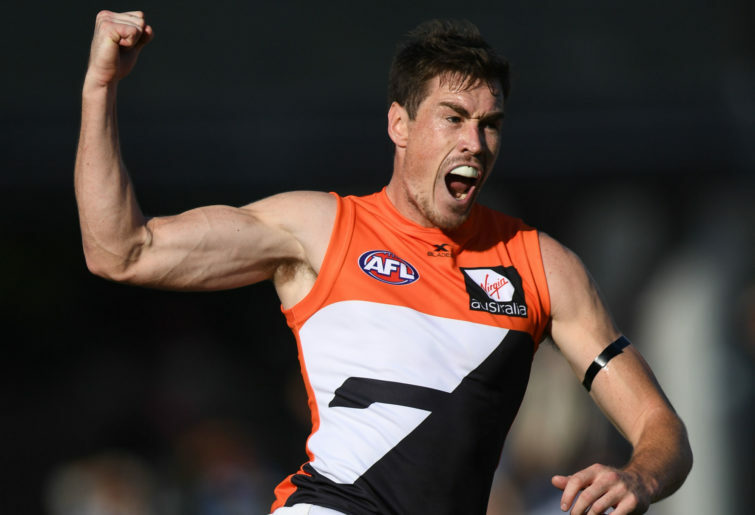 Impact player in 2019: Jeremy Cameron. The Power are another club that will most likely finish between seventh and 12th on the ladder depending on close results. They’re a club with a shotgun approach to list building – fire enough shots and you’ll eventually hit a target, but you sure mess up a lot on the way. Robbie Gray is getting towards the end of his career but will still win them some games off his own boot. Charlie Dixon was a good pick-up and gives everything, yet then there’s Steven Motlop and Jack Watts. Sure, there’s talent on the list, but overall it’s a bit of a mess that doesn’t scream out flag contention. Port Adelaide need a more consistent long-term approach to building a flag-winning list rather than listening to their morning TV show host chairman demanding immediate results. 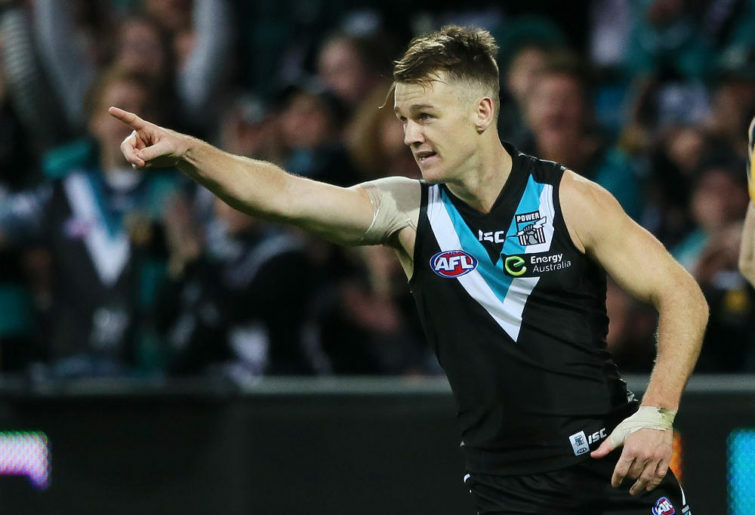 Impact player in 2019: Robbie Gray. The Bulldogs is yet another side with a shot the at finals but with no potential to win the flag. A Roar article last year called then the Halley’s Comet flag and it appears that may well be on the money as they clearly aren’t going to do a Geelong of 2007, 2009 and 2011 or even a Hawthorn of 2008, 2013, 2014 and 2015. Luke Beveridge can coach, but it’s a bit of a fragmented list now with too many question marks on a host of players. Still, they retain some really good players, which should have them at least in the mix for lower part of the eight. Impact player in 2019: Jack Macrae. They could finish anywhere between sixth and 13th and will contend for the eight for most of the year. As with others in this grouping, close results will dictate finals. The Dockers have underachieved over the past couple of years due to not being able to cover a horrendous injury count. They need to make their home games a fortress again. Of all the bottom-eight sides of 2018, Fremantle would cause damage if they were to sneak into the eight this season. I see the Dockers just missing out, but they have a good list and are more patient than Port Adelaide, Sydney and Hawthorn, which should serve them well from 2020 onwards. Fremantle and Brisbane are exciting young sides to keep an eye on. 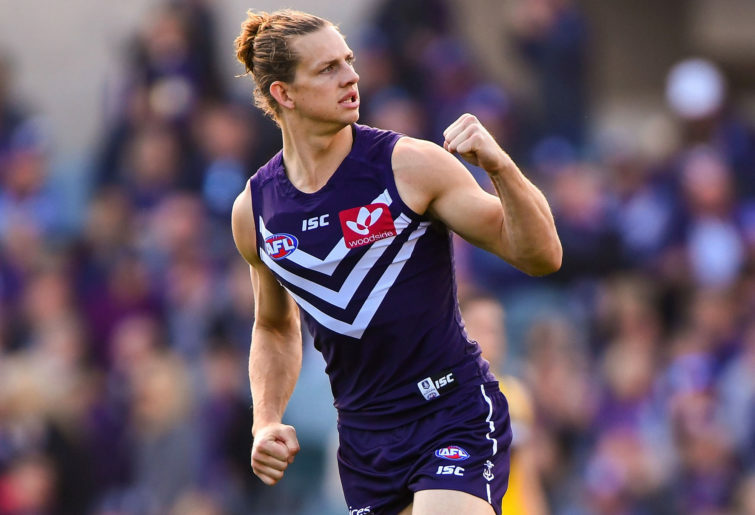 Impact player in 2019: Nathan Fyfe. I see them totally squaring their ledger with wins, losses and percentage, which will get them to around 12th. This will be an exciting team to watch thanks to the brilliant appointment of Chris Fagan, who may well become their next premiership coach. He’s the father figure the Lions need. 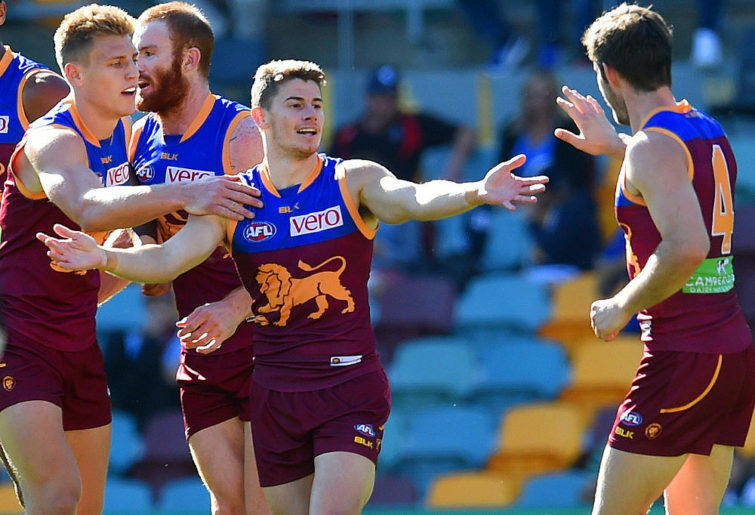 The loss of Dayne Beams will hurt a lot, but the acquisition of Lachie Neale eases the pain. This is a side clearly on the rise. The only query is they would handle a heavy injury toll after enjoying a pretty good run injury-wise in 2018. Impact player in 2019: Dayne Zorko. I had them dropping already, and then they lost Tom Mitchell for the year. There’s been some big dice-rolling with both Chad Wingard and Tom Scully. They want Wingard to become the next Shaun Burgoyne, but I can’t see it happening. Scully is a running machine when up and about, but unless they have some secret medical practices the rest of us don’t know about, it’s a largely free roll of the dice only. The 2018 season may be groundhog day in that they’ll start the year horrendously before senior coach Alastair Clarkson pulls off a midseason reinvention that stumbles them into contention for the lower reaches of the eight. He’s a brilliant coach but he’s not the Messiah, and with Mitchell out they are starting to need one. 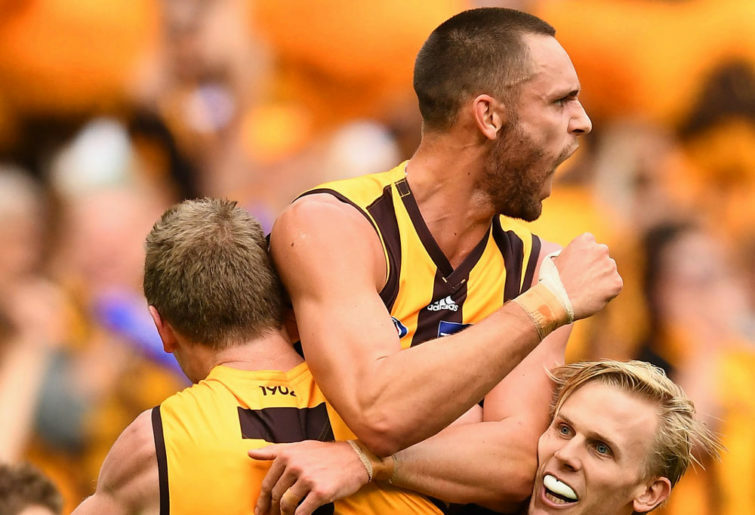 Impact player in 2019: Jack Gunston. They went 12-10 in 2018 after surprising early but don’t need much to go wrong to reverse that win-loss ratio. They have a good coach but their list is lacking in flair and matchwinners, hence their big chase of marquee players of late. Jared Polec appears more a consolation prize than the marquee recruit they wanted, though they did address outside run. Andrew Gaff would have been more than a handy bonus, but it wasn’t to be. 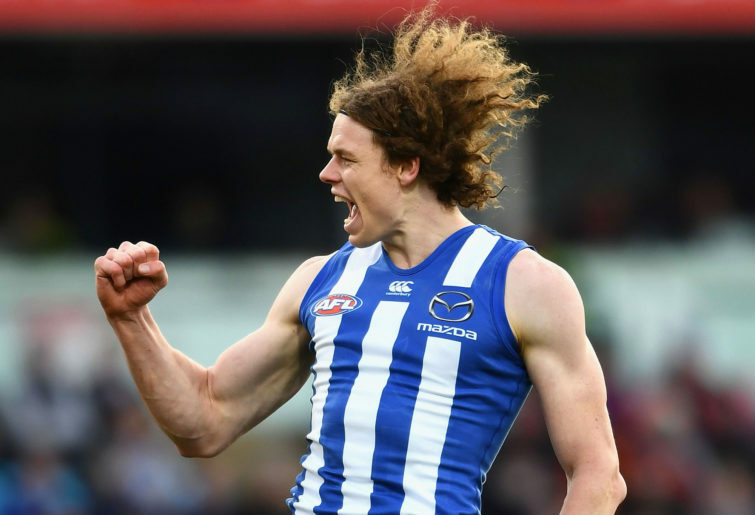 Looking at their best 22 it appears Brad Scott has eked out most of what he can from the list, but even allowing for the recent inclusions it is difficult to see where their growth will come from. Impact player in 2019: Ben Brown. The final side in the grouping of Adelaide, GWS, Port Adelaide, Western Bulldogs, Brisbane, Hawthorn and North Melbourne who could have win-loss ratios of anywhere between 9-13 and 13-9 depending on injuries and close results. Sydney are the least likely of the group to make it. They have glaring holes in their list, are still reliant on Buddy Franklin and are ageing, battle-weary and ready to fall. There are some genuine stars on the list in Isaac Heeney and Callum Mills, but this side is a bit like an Ikea set of drawers plugged together by John Longmire’s rusty old allen key that is about to topple over and need rebuilding. Impact player in 2019: Isaac Heeney. The natives are getting restless. The Blues need to start showing their excruciating rebuild is on the right path. Will seven wins be enough to demonstrate this? Possibly. They accrued some handy acquisitions over the break, including Mitch McGovern, Alex Fasolo and Will Setterfield, which has given the list more experience and balance. The Blues have had a cruel injury run and have started the preseason with more of the same, with an unfortunate injury writing off 2019 for Sam Docherty. 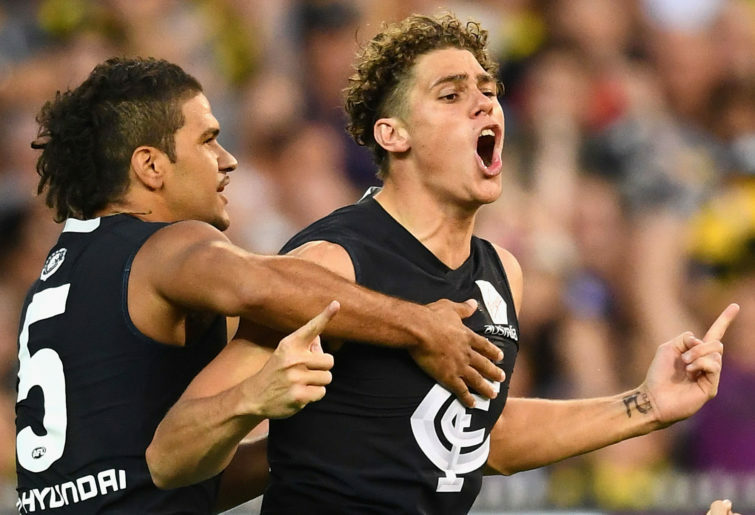 Still, any side with a gun forward like Charlie Curnow gives you something to build from, and seven wins might just keep the wolves at bay for another year. Impact player in 2019: Charlie Curnow. This is a club in trouble with a list featuring more holes than Donald Trump’s border fence arguments. With the Hawks moving closer and closer at their new Dingley base, are they about to be gobbled up as prey by the powerful Hawks? Dan Hanneberry may have just jumped from the Titanic to the SS Minnow. Impact player in 2019: Jack Steven. I’m struggling to find any positives here at all. Really this is a club that just needs to build a tight group who want to improve together. It’s going to take time, though – lots of time and lots of pain – to see any progress. Impact player in 2019: Lachie Weller.